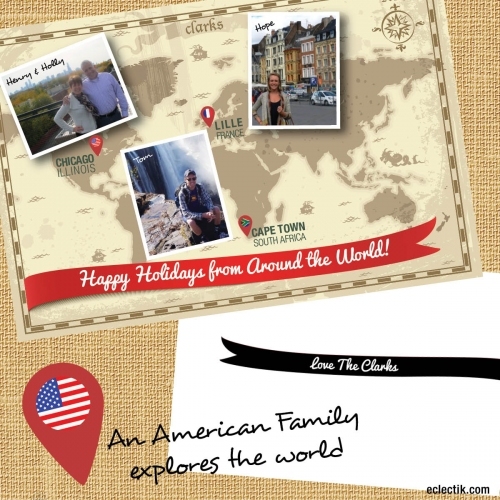 Our client contacted us looking to create a world map holiday card that included pin marks of the three locations her family was located in that year. This holiday card incorporated the family's lives in a fun way while including holiday wishes to those near and dear to them. *Personal information has been changed for family's privacy.